The sun is up, the weather is sweet, it’s time to put on your….. hiking feet? When you’re at the gym and you’re looking outside at the amazing weather and wondering why you’re on an elliptical machine, it’s time to drop that gym bag and put on your hiking boots instead. Grab some sunscreen and a hat, and drive to one of the below amazing hiking trails in Lebanon. This is probably one of the most instagrammed locations in Lebanon. While traveling from Laklouk to Tannourine, one passes the village of Balaa, and the Three Bridges Chasm (in French Gouffre des Trois Ponts) is a five-minute journey into the valley below where one sees three natural bridges, rising one above the other and overhanging a chasm descending into Mount Lebanon. The reserve is one of my favorite places in Lebanon, it’s the personification of a “breathe of fresh air”. Al Shouf Cedar Nature Reserve is a nature reserve in the Chouf District of Lebanon, it is located on the slopes of Barouk mountain. Much like the myth of its namesake, this beautiful valley will enchant you to the point of forgetting how tired you are. The (south) banks of the Ibrahim River between Chouwan and Lassah are ideal for hiking. As desired, you can start and/or end your hike in Chouwan, Ibri (A’abraa), Janneh or Lassah. A classic hiking destination, Jezzine is known as the “city of falls” because of its famous waterfall, the Jezzine Falls (40 m high). 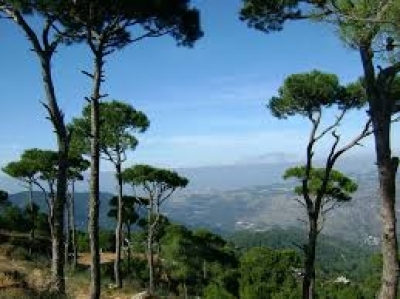 You can start your hike from the small, picturesque village of Bkassine that has a large and wonderful pine forest covering an area of 1 million square meters, making it the largest pine forest in Lebanon. Have you ever wanted to be inside the clouds? Well now you can. Hiking Lebanon’s highest peak is no easy feat, but if you’re all stretched out, and are feeling up for the challenge, it’s a must try. Always remember that fitness doesn’t have to be boring, it’s always fun when you mix up your fitness routine with some new adventures.